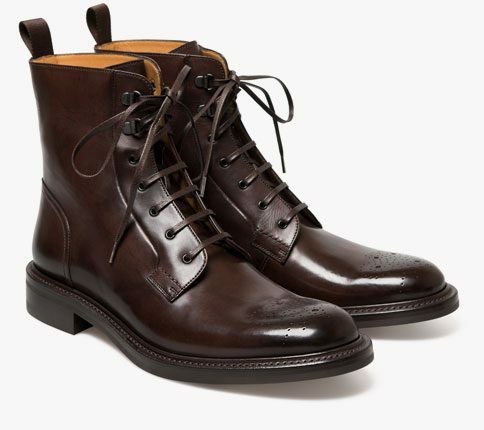 Algy Scout pebble grain black leather lace up boot in a 1920s football boot style. The modern twist shoes has a monkey boot toe cap detail which also give some flexibility for fit across the foot and added height with 11 eyelets and flat laces. 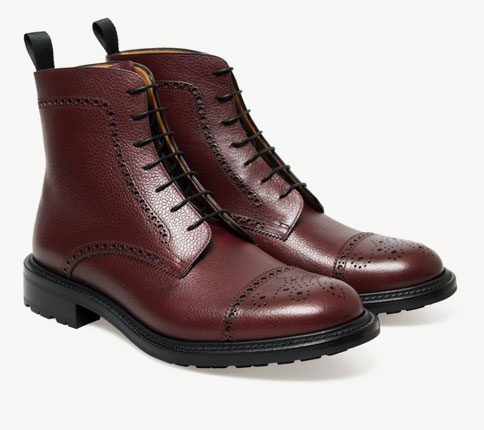 As it is winter, we have added a dianite sole, made in England.